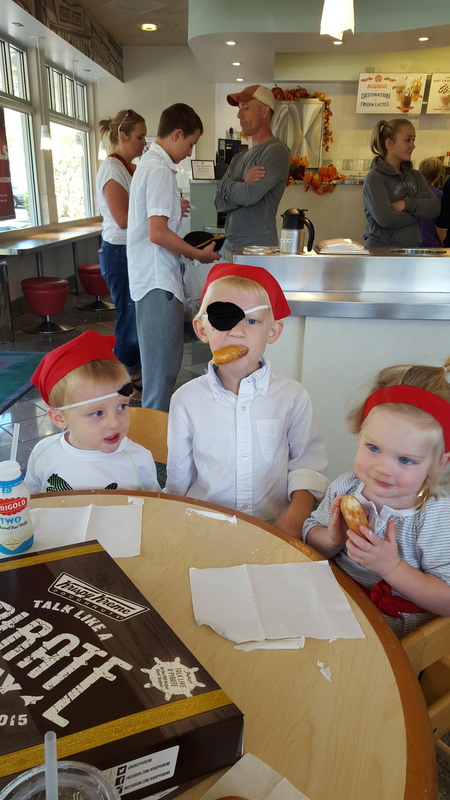 What happens when you go to Krispy Kreme dressed as a pirate on talk like a pirate day? You get a dozen doughnuts for free! 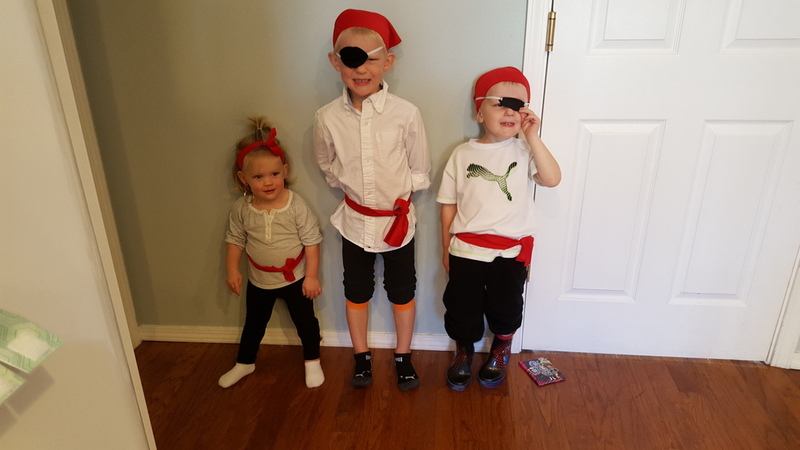 So we dressed up the kids as pirates, naturally. Three kids equals three dozen doughnuts. Yikes! What are we going to do with them all? The kids were happy to start making a dent in our delicious stash. The kids all practiced pirate phrases the whole drive there. We had kids saying "Oh coconuts!" and "RRRRR matey's" and "There be me ship". It was an entertaining drive to say the least.